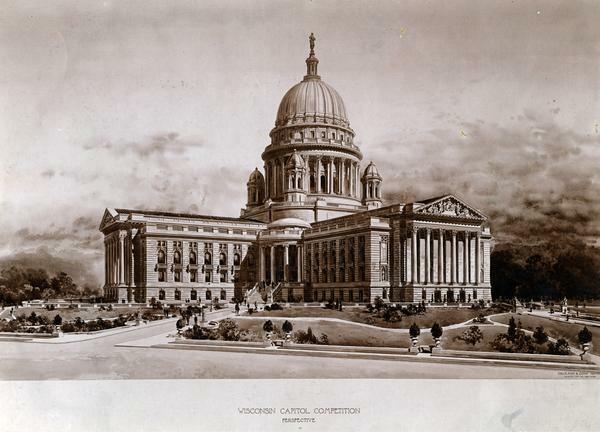 Architect's design of the 4th Wisconsin State Capitol (the third built in Madison). "Perspective" by George B. Post and Sons.